When we got our Daihatsu 2001 YRV TURBO 1.3 the air conditioning system was not blowing cold, which is a problem in a place where its humid almost all of the time and hot most of the time. 2) If the system blows air, but the air is warm, check the cooling system. 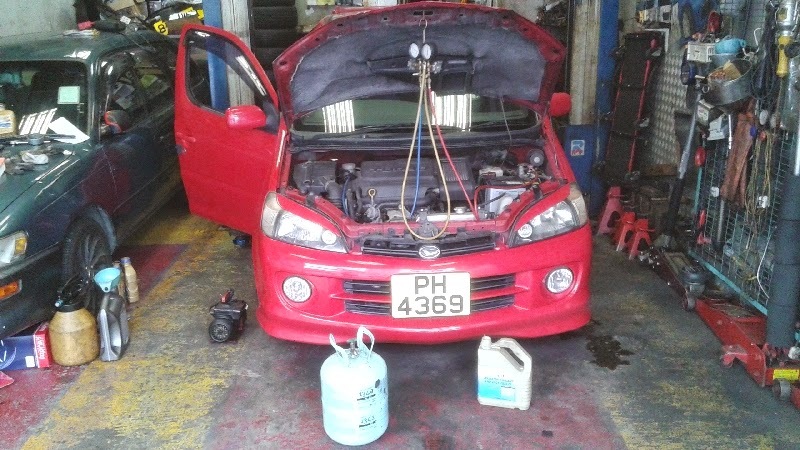 3) If the cooling system has low gas pressure, fill it and check for a small leak. 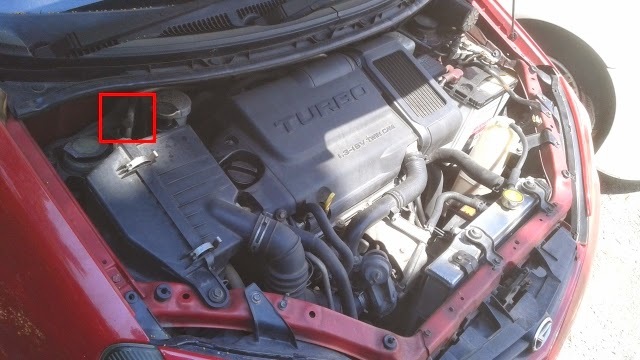 4) If the cooling system has no gas pressure in it at all, check for a big leak. 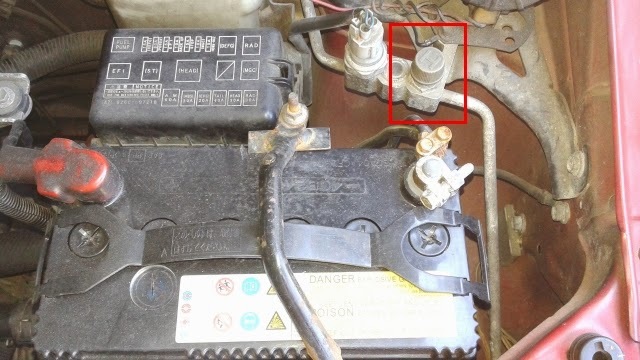 You can usually check #1 and #2 right in the cabin of the car, using the climate control knobs and poking around under the dash for the fuse block, which is normally somewhere near the driver seat. If you can't get things working with #1 and #2 then you have to move on to #3 and #4, which involve leaving the cabin of the car and going to where the air conditioning system is located. This usually involves lifting the hood and figuring out where the air conditioning system is located in the engine compartment. 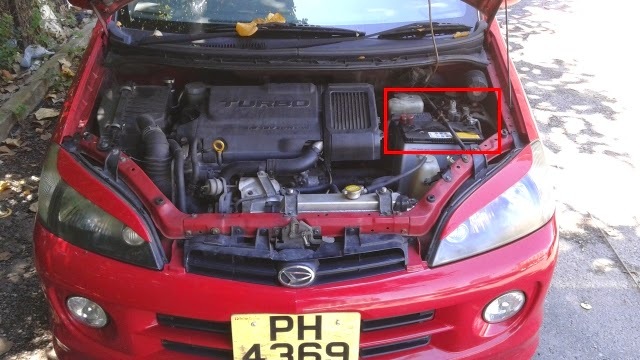 Testing the air conditioning system of the Daihatsu 2001 YRV TURBO 1.3 involves locating two PORTS, the High Pressure Port and the Low Pressure Port, then connecting some specialized equipment to those ports to test and maintain the system. Important Tip: Having some pressure is a lot better than having no pressure. Probably the worst situation for an air conditioning system is to have no pressure at all. This means that ALL of your coolant has escaped into the atmosphere, which is not only bad for the planet on a kind of abstract, meta level - it also means that the air of the planet, full of "nasty stuff" like moisture, dust, bacteria, mold and so on has taken residence inside your air conditioning system, which was never engineered to come into contact with air. Also, if your air conditioning system has no pressure whatsoever, you probably have a BIG leak, which can be a pain and expensive to fix. If the leak is in the piping (usually where a bend occurs because the pipe wall is especially thin at bend points) then an expensive repair is probably in your future because a mechanic is going to need to take the bad, snaking pipe out and put a good, snaking pipe in. 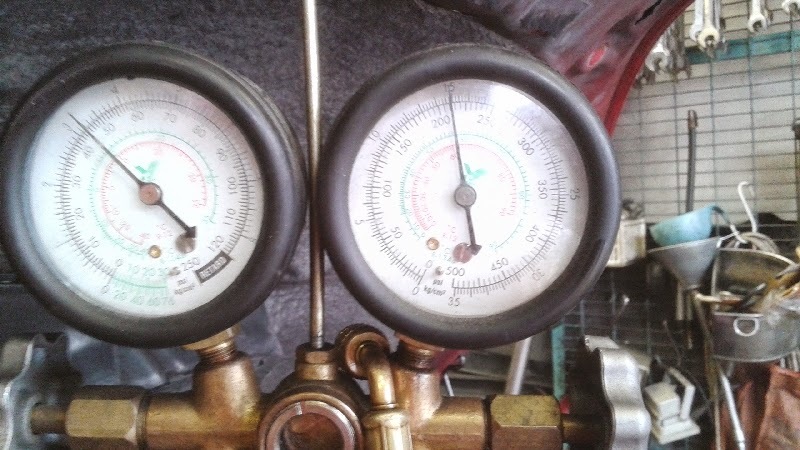 The other place that the system can lose all of its pressure is in the compressor, which has moving parts, plenty of heat, rubber seals and other things that are the enemy of maintaining pressure within a system. Replacing an air conditioning compressor is just as tough (and expensive) as replacing the air conditioning pipes. Either way, it's a half day in the garage, plus parts. 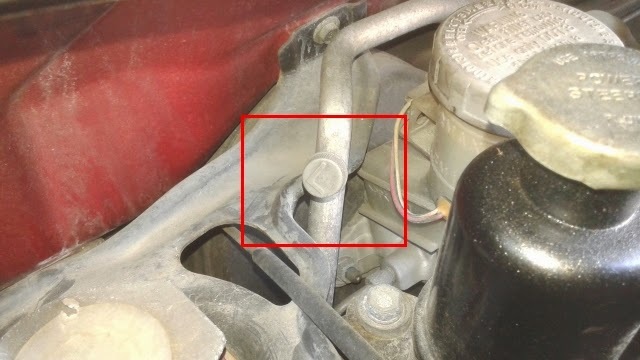 Finding the leak is made much easier these days with marking dye (featured above) and with electronic coolant sniffers. Both technologies help to locate leaks pretty quickly. I think the sniffer technology is especially valuable because it alerts you to whether your coolant is blowing into the cabin, which cannot be healthy. Once the offending part has been replaced, the integrity of the system needs to be pressure checked, which (strangely) usually involves vacuum, not pressure. This is because a vacuum check will put the system under the same kinds of stresses that a pressure check will, along with the added benefit of removing all of the "nasty stuff" that may have taken residence in the system while it had no pressure. A vacuum check involves about 30 to 60 minutes of a specialized pump being attached to the air conditioning system and left to run. If things go well, the "nasty stuff" will get pumped out (you can see this as steam emerging from the outlet valve of the vacuum pump) and the system will hold vacuum. You can see this happening in one of the above Eric the Car Guy videos (How to Find and Repair AC Leaks) at around 9:15. 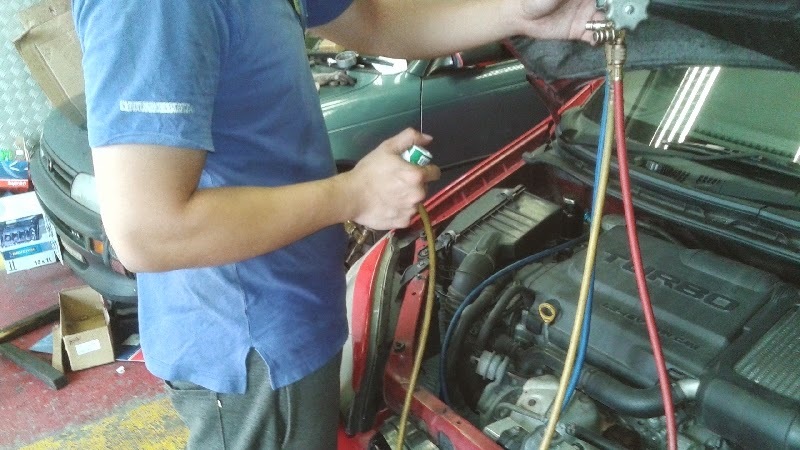 If the system holds vacuum for an appropriate amount of time, then coolant can be introduced into your air conditioning system (along with any needed additives). If it does not, like with the above video at around 10:00 where he concludes his repair didn't work, additional troubleshooting will need to be performed. 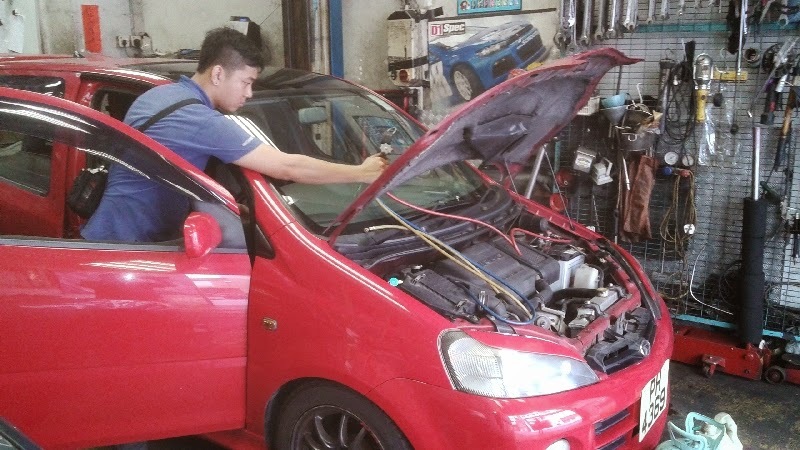 Once the integrity of the air conditioning system has been deemed whole, then it should be filled with coolant, fired up and run to see if it blows cold and maintains pressure over a reasonable period of time, like 15 or 30 minutes. 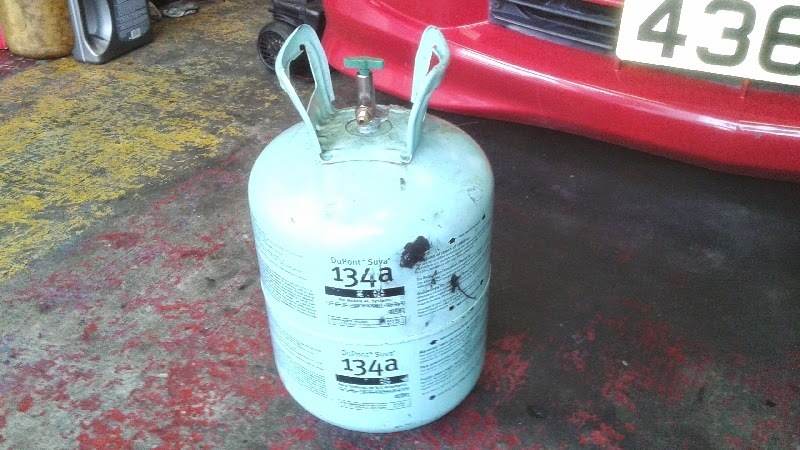 The mechanic will add X ounces of refrigerant to the system to get pressure above the amount necessary for the compressor to trip in. 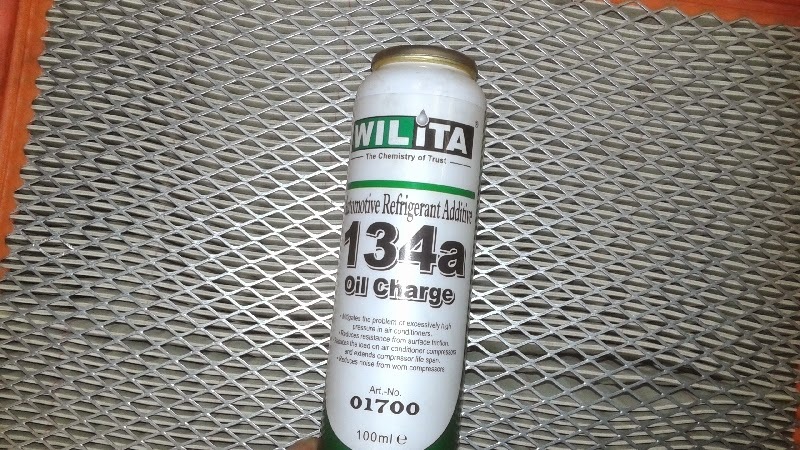 In my case, the total amount needed should range between 20 and 60 ounces of 134A refrigerant. After that, the system should blow cold, which will be nice considering that in Hong Kong the temperature these days is hitting 100 degrees. 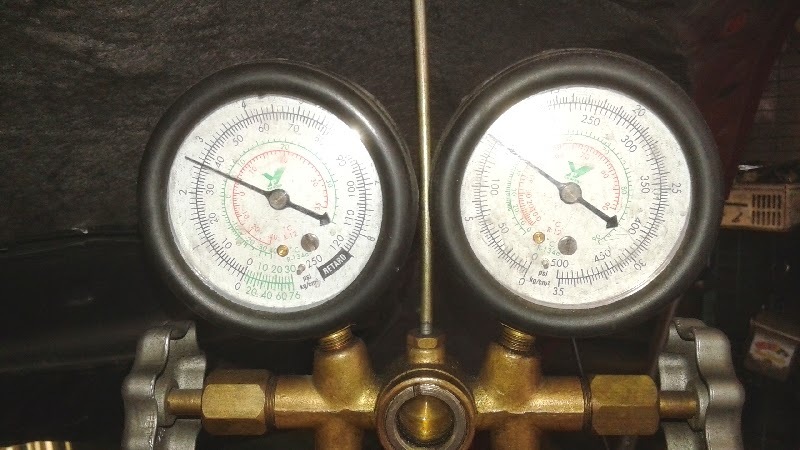 Thankfully, we found out that the system was holding some pressure, but probably not enough pressure for the compressor to kick in. The air conditioning compressor in most systems will not kick in if there's not enough gas to compress because it would never turn off. This is called a "threshold pressure". 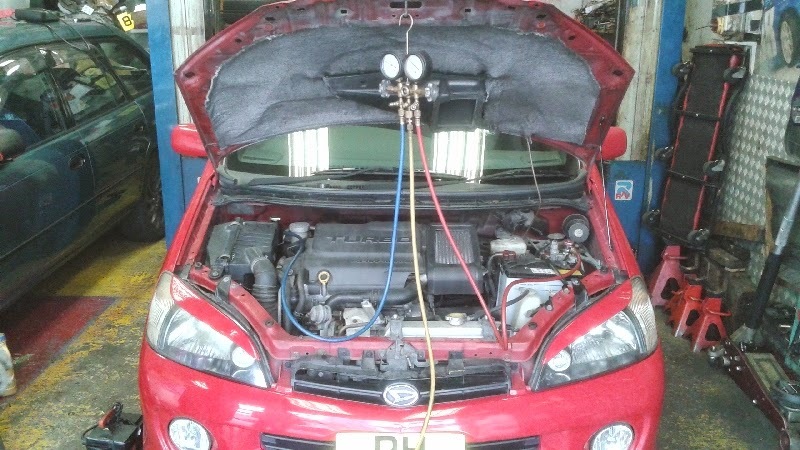 Here's the technician testing the system after the refrigerant had been added, running the engine, checking for cold air flow and watching the gauges as the compressor kicked in and out. 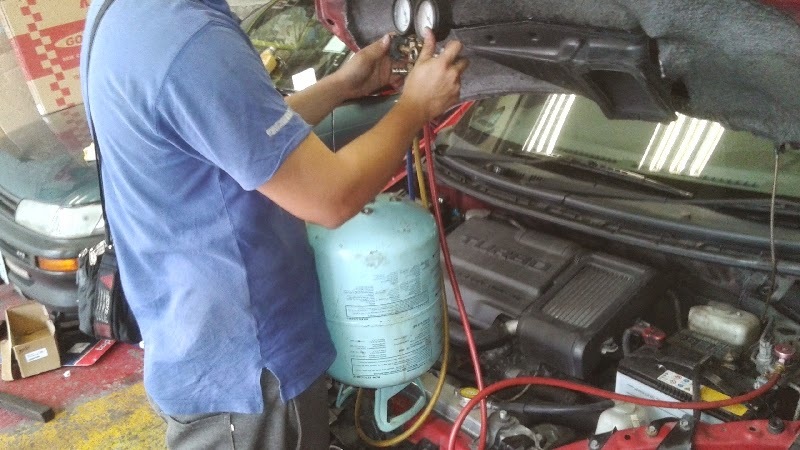 The air conditioning system pressure wasn't dropping when the compressor was kicking in...and it should have been, so here the technician is putting an additive into the system, just to be safe in case he had added too much coolant or the compressor wasn't working right. 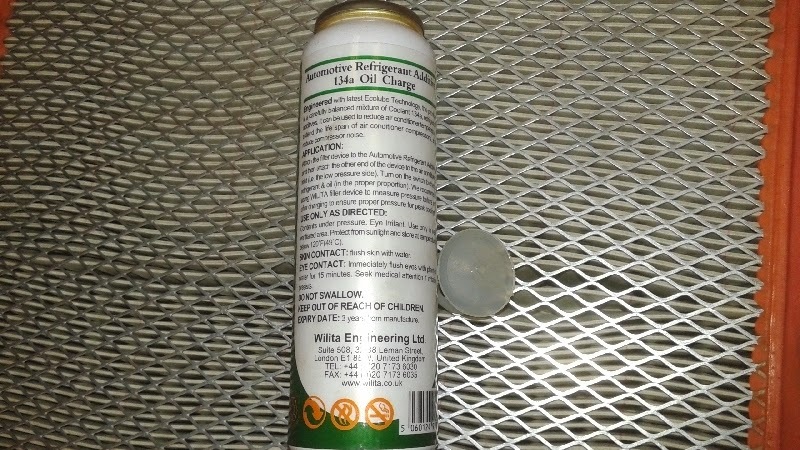 Here's the additive that we put into the air conditioning system. The hope is that by adding this to the system we can help it to live longer and work less hard by lubricating the moving parts and also moisturizing the seals so gas doesn't escape. So, how does the boss like her "cool" Daihatsu 2001 YRV TURBO 1.3l? Looks like our work is done! We'll check back with the garage in around 6 weeks to see how well the system holds pressure and if we need to put more gas or additive in to keep the system alive. Any interesting in turbo cars, t3 turbo,turbo technics, precision turbo? We are the best supplier of turbo cars,turbo parts, twin turbo , welcome to cooperate with us. 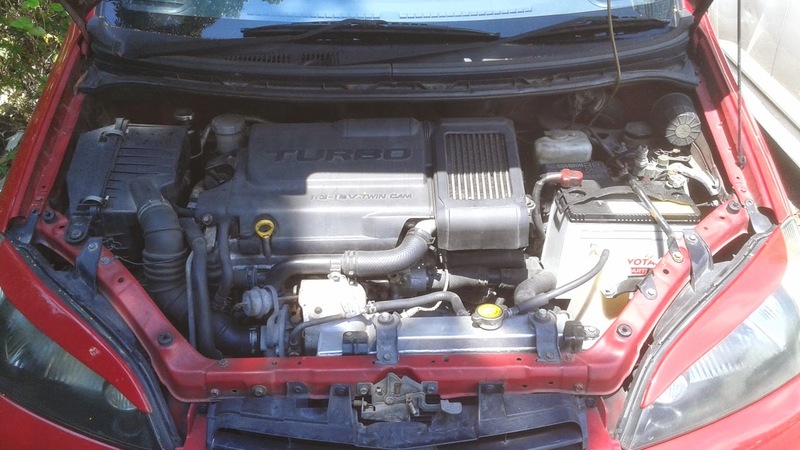 Any need for car turbo,turbo cars and turbo technics? Hi all, it's your best choice for turbo kits,turbo car and twin turbo. Hi all, it's your best choice for car parts. We are the one of the best supplier of electric turbo, welcome to cooperate with us. I'm new here,any interestings in car parts? I have some opinions, have you ever known gt1749v, you can find more you need.